Age-related macular degeneration and cataracts are a common cause of blindness later in your life and having routine eye exams is necessary to ensure you don’t develop these types of vision ailments, but there are some things that you can do to potentially reduce your risk of developing age-related eye disease. 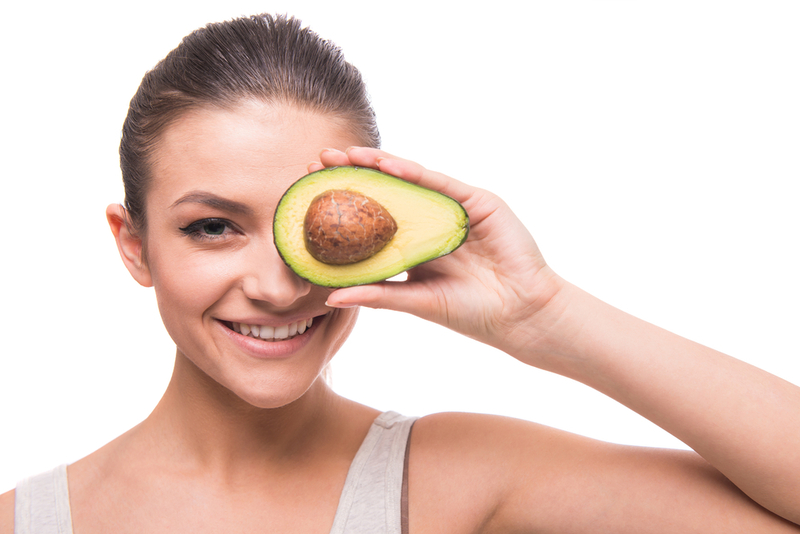 Many eye care professionals, Wells Vision and Laser Eye Center included, believe that a healthy diet can help to reduce your risk of developing and/or slow the rate of vision loss caused by these age-related eye diseases. Make sure the fats you are ingesting are the health variety. The omega-3 fatty acids found in different types of fish, canola oil and walnuts have been known to help prevent dry eyes and it is even suggested by some eye care professionals that perform regular eye exams that it can help reduce your risk of developing cataracts later in life. Grab a bowl of cereal and whole grains every once in a while. When deciding what kind of bread and cereal you want to eat, make sure that it is 100 percent whole-grain with a ton of fiber! Fiber helps to fight dangerous sugars and starches that might increase your risk of developing age-related macular degeneration and cataracts. As an added benefit fiber gives you that full feeling for an extended period of time which helps you cut down on some of those pesky calories you’ve been trying to burn off. Make sure to hydrate! Dry eye is something that eye doctors look out for in eye exams so make sure to drink plenty of water, low-fat dairy milk and nutritious fruit and vegetable juices. Juice can be tricky because there are a lot of juices that contain high amounts of sugar which isn’t good for you eye health, so make sure to only drink juices that are labeled at being made of 100% vegetable and/or fruit. If you hydrate properly it is said to help reduce symptoms of dry eye such as irritation. Go PRO with PROtein. Meat is a great source of protein, but the cut of meat and the cooking method are the defining factor whether the meat in question will help or hurt your eye nutrition. Generally speaking, it is recommended that you ingest lean meats and other less fatty cuts of meat. The fats in red meat are saturated fats which are considered to be unhealthy for your eyes and potentially increase your risk of developing macular degeneration. Nuts, fish, legumes and eggs are considered to be great healthy sources of protein as well. Avoid consuming high levels of sodium. Diets that are high in sodium are not only considered to have an effect on your heart but also increases your risk of developing cataracts. It is recommended that you keep your sodium intake below 2,000 mg per day, so make sure to read the labels on pre-packaged and canned foods as they tend to be high in sodium compared to fresh and frozen foods. Diet alone won’t be enough to keep your vision protected throughout your life, but it is an important piece of the eye health puzzle. No matter what you, do you should always schedule routine eye exams with Wells Vision and Laser Eye Center to ensure your eyes are performing at their optimal levels. Only eye exams by trained eye doctors can properly detect eye problems early before they become a major issue. 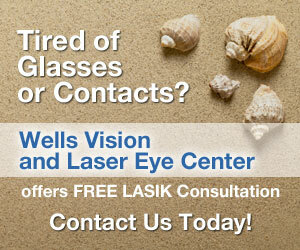 Wells Vision and Laser Eye Center offers a multiple of different services with your eye health in mind. Be sure to book an appointment for a regular eye exam if you haven’t already with Wells Vision and Laser Eye Center.